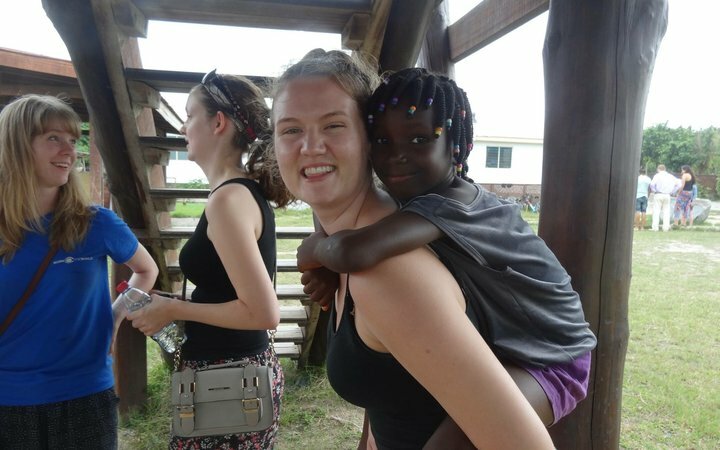 Emily travelled to Ghana with us a few years ago. She is now a happy and successful midwife working near her home in West Sussex. 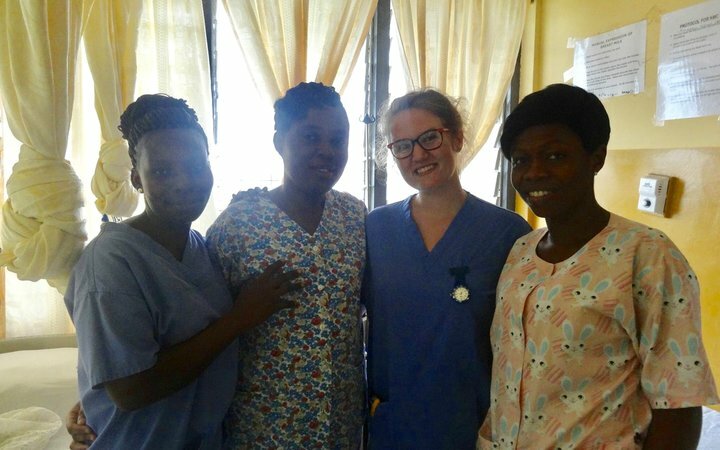 We spoke to Emily to listen to her story, and find out how her time in Ghana was crucial in helping her enjoy her career as a midwife to the fullest. The new perspectives I got while I was in Ghana are what helped shape my current practise more than anything else. I’d wanted to do something clinical since I was a kid, that was always my dream. I liked the idea of midwifery because, having done my research, I found that it was relatively autonomous. Sometimes, things need to be referred, but on the whole it’s just me, the mother, the baby and the family. That was one of the main reasons I wanted to do it to begin with. Anyway, I ended up doing a midwifery degree at Bournemouth University! The course was full on, but I knew it was going to be challenging before I started. People told me that studying midwifery meant I wasn’t going to have the same uni experience as everyone else. It was busy, but I managed to go out and have a great time. The course was 50% practice and 50% placement, which was equivalent to working full time. But it was so worth it. It got me to where I am today, and I couldn’t be happier in my job now. I’m a bit of a home bird. Having lived down on the south coast my whole life. I didn’t want to move too far. I love the beach, going for long walks to get rid of stress… Bournemouth is great for that kind of thing. As a city for a student to live in, it was brilliant. I loved it. There was so much going on, and it was great for midwifery because there were quite a few different hospitals, and even a birth centre. The nightlife was brilliant and shopping was good. The Uni itself has two campuses, one of which is huge with a great library, and everything else you’d need as a student. The lecturers were fantastic too. 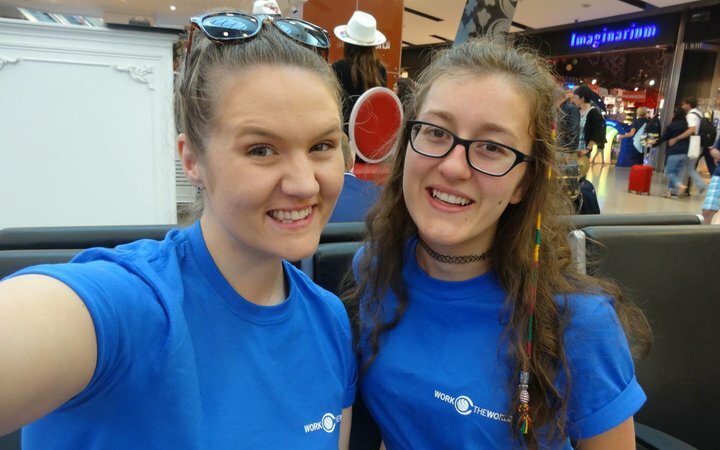 At the start of our third year, Bournemouth University put on an elective event for us. 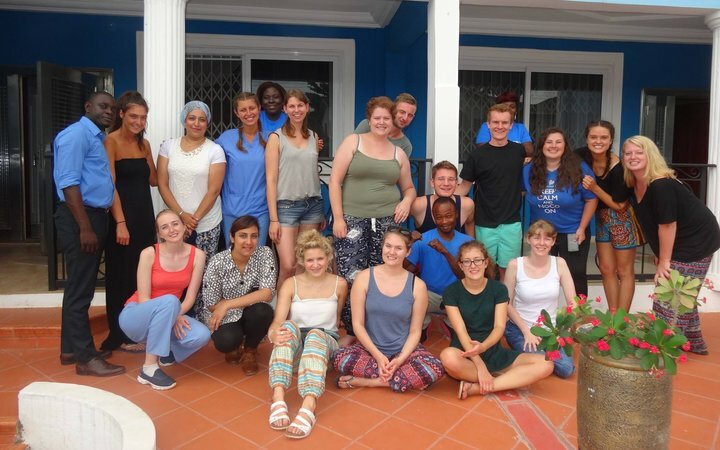 We can undertake our elective anywhere in the UK or anywhere in the world. The university recommended a few companies, and the most highly praised was Work the World. We listened to presentations from students who had already travelled with Work the World. They talked about how they were looked after throughout the process. It seemed like the safest and most organised way to do it. I also knew that going abroad—especially to a developing country—was going to offer a completely new perspective on midwifery. Everything is formalised in the NHS. Individuals can obviously practise differently, but a midwife is a midwife. We all follow the same guidelines and practises. The structure in hospitals is all very similar because it has to be. I wanted to see how midwifery fit into a different culture, and how somewhere so deprived of resources coped with meeting the needs of new babies and their mothers. Work the World offer such a wide range of destinations. We looked at all the destinations on the website and they all sounded amazing in their own right. 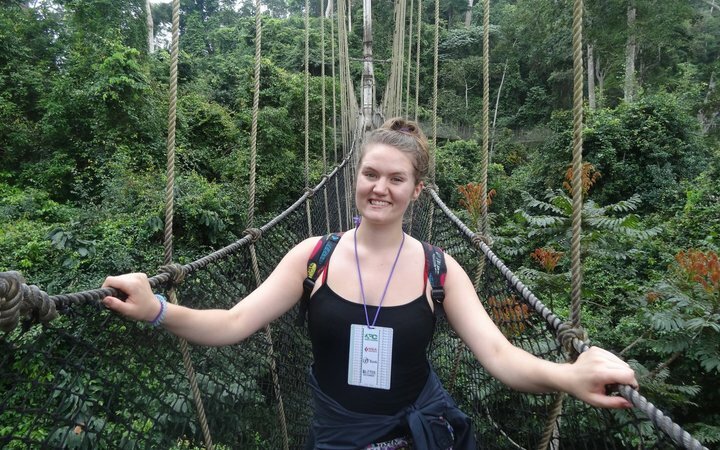 My friend Emma was set on visiting Africa, and we also saw a presentation of someone who had been to Ghana with Work the World and it looked really cool. The flight to Ghana was also the shortest and the cheapest from England, which helped us make our decision. Midwifery was different in Ghana. Because local midwives had been educated—they’d been to school, college or university—they were considered to be above many of the women they were looking after, in terms of their social standing. The way they communicated with expectant mothers was different from what we were used to back home. They would sometimes slap mothers, or shout at them if they were making too much noise during labour. It was important to remember this was, of course, all down to cultural differences. Women were expected to be strong throughout the birth process and making a noise can be seen as causing too much of a fuss. That said, local midwives did a great job, they knew their stuff—we were surprised by how knowledgeable they were in their practise. Infant mortality was much higher over there, partly because of a lack of resources. Bereavement was also handled totally differently over there. We have very sensitive bereavement care in England, whereas when a baby died in Ghana, it came across as a much less emotional experience. Infant mortality was much higher over there, partly because of a lack of resources. The way people dealt with it was to distance themselves emotionally from the baby until it was safely born. I did struggle with this at first, but the staff in the Work the World house were amazing. Other students in the house had experienced similar things, so having that support network when we went home after a challenging shift was priceless. 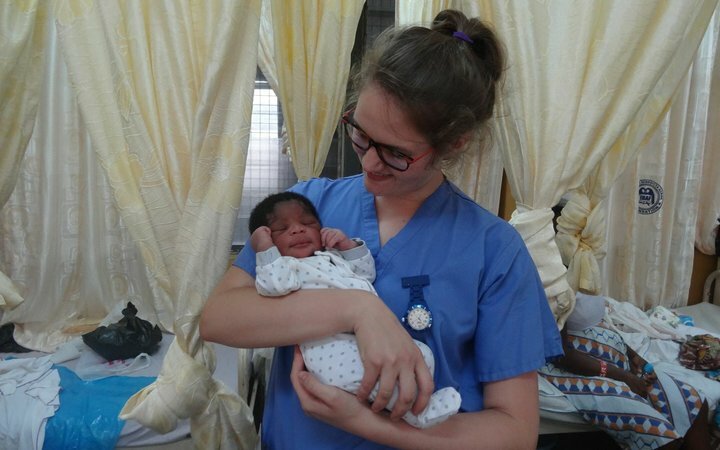 We were surprised that local midwives practised so similarly to their UK equivalents, but when it came to emergency situations it was a different story. The nearest doctor lived about an hour away. If a mother needed to go for something like an emergency caesarean it took a long time to get start. Whereas in the UK we ring the bell, get staff where they’re supposed to be straight away, get mum into theatre in a timely manner, all to get the best outcome for the child. But in Ghana they just didn’t have the facilities or the resources. My friends and I talk all the time about how we changed because of the experience. I feel so much stronger because of the experience. I had never been travelling. I mean, I’d been abroad on holidays but never anywhere like Ghana. Gaining perspective on the world was amazing—seeing another culture and completely immersing myself in it, learning about how local people have different approaches to everything, how much more relaxed they were about things… It was amazing. I feel so much stronger because of the experience. Even in my personal life I will often think back to my experiences in Ghana. If I’m moaning about my problems, I’ll think “Come on Em, you need to gain some perspective.” Again, I think that’s priceless. It’s true in my professional life as well. If I’m being challenged at work, I have to resist saying things like “You should try and have your baby in Ghana!”. Me and my housemates all had very different placements. At the end of each day we all came together for dinner and spent evenings together talking about what we’d seen, sharing our experiences. 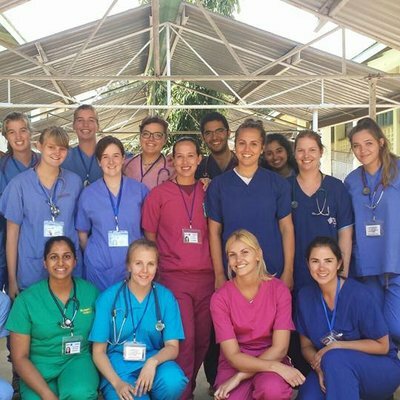 There was only so much one person could see over the course of a couple of weeks, so hearing about everyone else’s experiences helped me build up a broader picture of the healthcare system in Ghana. It was nice to be able to speak to like-minded people about everything and have that debriefing and support from the Work the World team. Me and the friends I made over there still have a facebook group that we put together to share photos and experiences. Funnily enough, one of the GP surgeries that I was involved with the other day was called Harbour View, which was also the name of this funny little place we went to in Ghana to buy our souvenirs. I posted it in there for a giggle! Every person who was in that house now has a bond with the others. Even though I don’t see them in person we’re all still close. If I ever have a question to ask, I feel comfortable enough to go to them. It was such an important time for us all. In the year that I graduated, the early jobs started coming through in January and February. Bournemouth University advised us to apply for as many jobs as we could. Midwifery jobs weren’t east to get a hold of, so it made sense to apply for a lot of places and review any offers at the end. I actually found out that I got a job while I was in Ghana! I ended up at Western Sussex hospital where I am today. As I said, I’m a bit of a homebird so I wanted to be near my mum and dad. Getting a job so close to home was great. Our trust is split into two hospitals; Chichester and Worthing. Both have a maternity unit, and when I first qualified I was on the Chichester site. It was farther than I’d have liked, but I persisted with the hope that they would transfer me to Worthing at some point. They did, and it worked out amazingly well. I started working in the hospital on the wards and in the delivery suite. But in January this year I started travelling out into the community. I now drive around doing home visits, I’m on call for home births, I do clinics in GP surgeries, all that sort of thing. 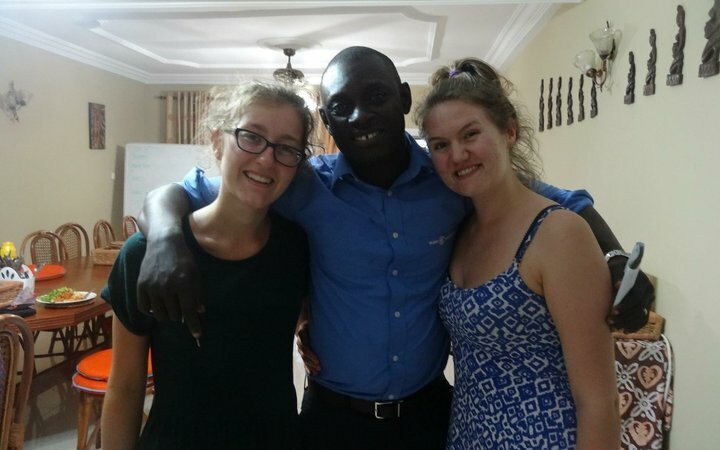 My time with Work the World in Ghana helped me to appreciate everything I have where I work now. I get up in the morning, open up my laptop and look at my workload for the day. I would do either doing a clinic in the morning and then out and about in the afternoon, or out and about all day. I’m the first point of contact for mothers when they fall pregnant. I go into mothers’ homes and do a standard appointment where I take full histories, talk the mother through all the screenings that we offer on the NHS—blood tests and that kind of thing. I might do two of those in a morning and then a home visit in the afternoon. On a home visit I go and make sure that the baby is feeding well, making sure that the mother is recovering properly, referring any problems on if needed. Once a week I’m on call throughout the night. I could be working 9am to 5pm and then be on call from 5pm to 9am the next morning. So if there are any ‘accidental’ home deliveries, I’m there! My time with Work the World in Ghana helped me to appreciate everything I have where I work now. I think it all comes back to the perspective I gained while I was over there. 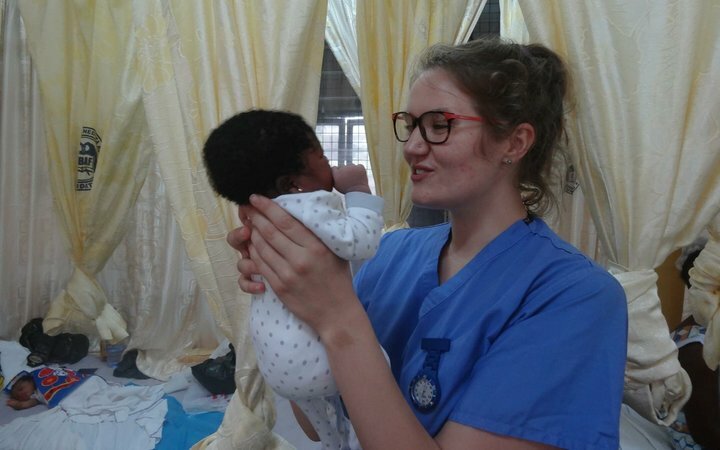 I didn’t go to Ghana to gain more midwifery knowledge as such—I had almost finished my third year of training, so I’d learnt everything I needed to get started. It was more about experiencing a different culture. The new perspectives I got while I was over there are what helped shape my current practise more than anything else. Of course, the NHS is still a challenging environment and currently under a lot of stress as we’re really short staffed. And there’s litigation, so paperwork is incredibly important. 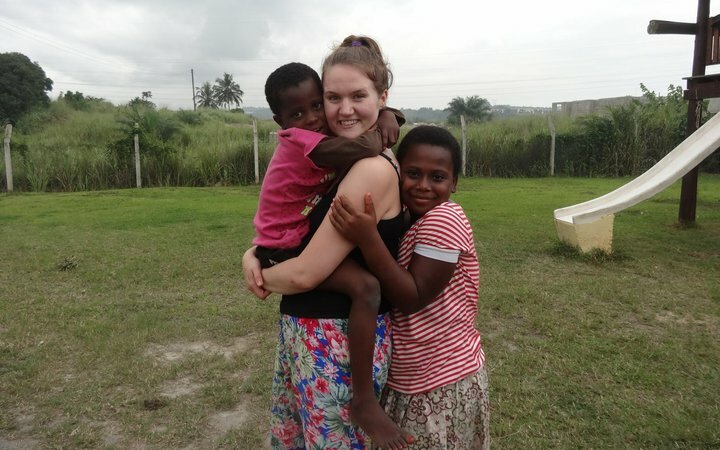 But, any time I feel like things are getting to be too much, I think back to my time in Ghana. I’d go back tomorrow if I could.